He spent the first two full minutes of our 13 minute interview laughing at the absurdity of my question. Simply put, after performing professionally for sixty-nine years, trotting around the globe for much of that time, living in South Africa, Zürich, and New York City as well as other locations, the question about when a man of 84 years might retire and rest on his laurels brought him to tears of laughter. 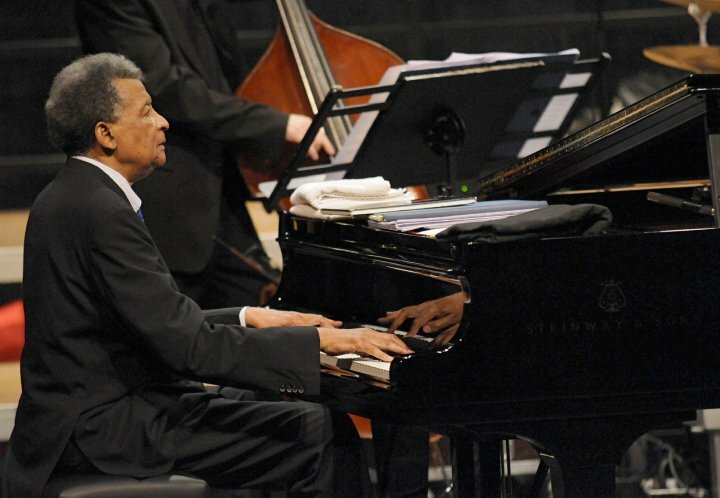 “There’s no such thing as retirement,” Abdullah Ibrahim, renown pianist from Cape Town informed me. There’s always the opportunity to share with audiences. “When you realize that you can bring some happiness to others…” retirement becomes meaningless. Ibrahim will take the stage at the Dakota Jazz Bar & Restaurant April 16th, playing two shows Monday evening. It’s the third stop of his most recent US tour and the farthest west he and his band will travel this time around. His music began when he was seven years old and living in South Africa sans apartheid, but once he started performing at age 15, his country had already been strangled by the tight grip of enforced discrimination and untenable restrictions. However, the forces that move Ibrahim are natural and free-spirited.